Chairman Avi Roeh of the Yesha Council of Jewish communities in Judea and Samaria and Secretary-General Ze'ev (Zambish) Hever of the Amana housing organization which develops Judea and Samaria communities, have sent a letter to Prime Minister Binyamin Netanyahu inviting the Prime Minister and cabinet ministers to hold a cabinet meeting at the foot of the Tomb of the Patriarchs in Hevron. 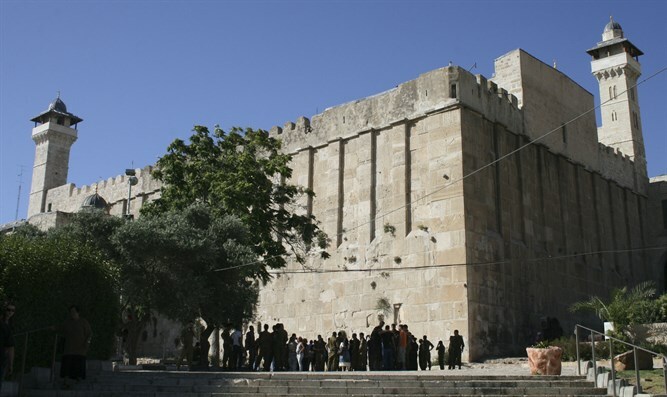 The letter follows last Friday's decision by the World Heritage Committee of the United Nations Educational Scientific and Cultural Organization that the Me'arat Hamachpela Tomb of the Patriarchs and the surrounding Old City of Hevron would be declared Palestinian Authority heritage sites. The letter calls the decision embarrassing and delusional, and says it causes "damage to Jewish and Israeli history and tradition". In the past, such a request was raised by a number of ministers, but was not agreed upon. Now, the Yesha Council believes that things are different and that a government meeting is needed to strengthen the historical as well as Israeli sovereignty in Hevron in particular and in Judea and Samaria in general. In their letter, Roeh and Hever responded to another claim made at UNESCO that the Cave of the Patriarchs and the Old City of Hevron are in serious danger of being harmed. They wrote, "After hundreds of years in which the Jews were permitted to reach only the seventh step in the structure of the cave, today Muslims and Jews pray together on the graves of the patriarchs and matriarchs without interference, and the cave is open to all religions. There is no one who guards the Cave of the Patriarchs like the State of Israel."